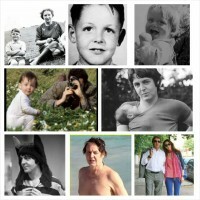 I just googled Paul McCartney and there must be 50,000 pictures. Too many funny ones to post! 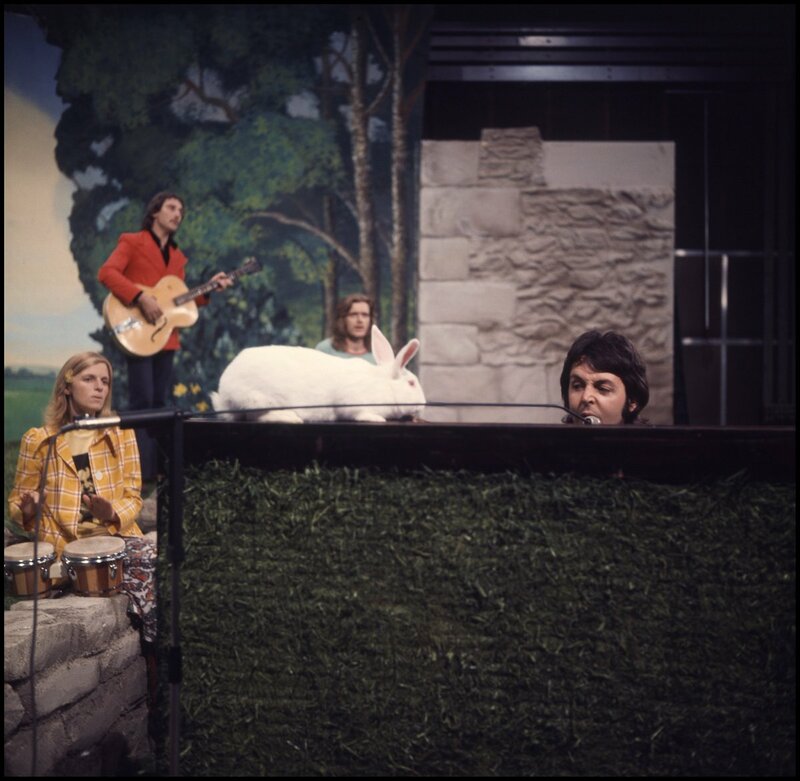 A very cute pic from Paul's twitter page over Easter. The top right one is NOT Paul, though. I've come across that one a few times and people always claim it's him, but I never bought it. For one, because Paul wasn't a blond baby and secondly, because I don't think pictures were ever taken of him at that age. Also, I don't see the resemblance. The baby in that picture is called Graham Fellows, and that photo won his mum a refrigerator in 1960. Source. I loved wearing those wide leg jeans. Hope they make a comeback! ^^If anyone knows where I can get a pair... cause I want some, and I don't care if they're in style or not. I'm not even a trousers wearer but I'd wear those bell bottomed ones. Two weeks before his 74th birthday, and Paul looks absolutely great! Actually, both Pauls do. ^ Man he wears those jeans so well. I wish I were them. Ooooo, is that a bit of Macca's midsection showing? Yes, you see where Ahhh Girl's eyes immediately went. Paul and Linda with comedian and impressionist Mike Yarwood, on whose 1977 Christmas Show that Wings performed Mull Of Kintyre . Paul and Linda also appeared in a sketch on the show where Yarwood impersonated the then British Chancellor Of The Exchequer Denis Healey. The full sketch was on YT a few months ago but it has been removed since I last checked. Fortunately, the Mull Of Kintyre performance still exists. 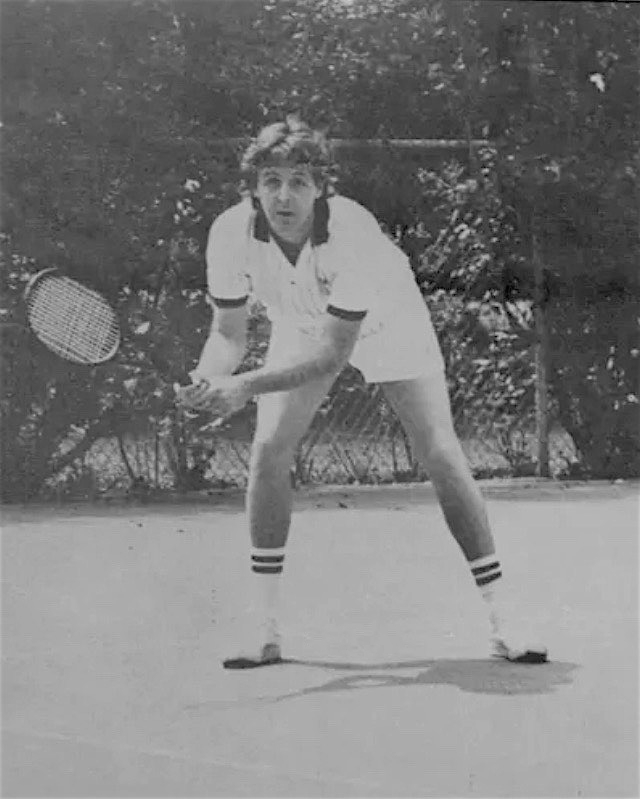 Help , is that a bit of Macca's midsection showing? Yes, you see where Ahhh Girl's eyes immediately went. Don't worry, I can fix that. My rock legend. Picture from May 16, 2017. Paul eclipses all other musicians for me. Cool! I wonder where he was? I must say, he looks rather good. Is that a stubble, I see? IS THE BEARD COMING BACK! ?